Stefanie completed her doctorate at PIK in 2018 and is currently a blogger and podcaster on Sustainable Transitions Blog. Her expertise is in transitions, community organizations, governance and politics. A former PhD student and guest scientist at PIK, Lena is now a postdoctoral researcher at the Max Planck Institute for Meteorology in Hamburg. Christian Buerger was a guest scientist in the Energy Strategies Europe and Germany group in 2018, visiting from the School of Public and Environmental Affairs, Indiana University. From 1993 to 2011 Wolfgang was head of the former department "Global Change and Natural Systems" and subsequently Co-Chair of PIK's research domain Earth System Analysis. He is now scientific director of the Mediterranean Institute for Biodiversity and Ecology (IMBE), Directeur de Recherche (CNRS), and Professor of Global Ecology. Formerly press officer at PIK and for IPCC Working Group III, Patrick is now Scientific Editor and Community Manager at the Museum für Naturkunde Berlin. Until recently a researcher at PIK, Eva is now a research associate at the Leibniz Institute for Research on Society and Space (IRS) in Erkner, Berlin. Marianela is Deputy Director of the International Centre for Water Resources and Global Change in Koblenz. She was a PhD student and postdoc at PIK until 2013. Christian is Assistant Professor of Climate and Energy Governance at the Hertie School of Governance and head of the working group ‘Governance’ at the Mercator Research Institute on Global Commons and Climate Change (MCC) in Berlin. He was a doctoral and postdoctoral researcher at PIK from 2001 to 2012. One of the first people to join PIK in 1993, Michael retired at the end of 2017. He was a senior scientist working on sensitivity and uncertainty analysis of model output and was responsible for research data management. Nikita Frolov is Associate Professor at Saratov State Technical University. He was a guest researcher at PIK in 2017, working on methods for multivariate time series analysis, network analysis and simulations. Hans-Martin Füssel is Project Manager for Climate change impacts and adaptation at the European Environment Agency. He was formerly a member of PIK's Research Domain Sustainable Solutions. A DAAD scholar at PIK in 2013, Zhong-Ke Gao is a professor at Tianjin University, China, with expertise in complex networks, deep learning, time series analysis, big data, and artificial intelligence. Achim was a member of the IT-Services department from 1993 to 2013 and is now retired. Heiko finished his PhD at PIK in 2007 and is a researcher working on ice sheet modelling, sea-level projections and ice sheet-climate interactions at the Institute for Marine and Atmospheric Research Utrecht. Rüdiger is a senior scientist at Karlsruhe Institute of Technology working on ecosystem responses to climate change and air pollution. He was a postdoc at PIK in the 1990s. Sabrina is a research scientist at the Leibniz Institute for Agricultural Engineering Potsdam-Bornim, currently working on livestock farming and emissions reduction. She was formerly a researcher at PIK. Lion Hirth is an energy economist and is Assistant Professor of Governance of Digitalisation and Energy Policy at the Hertie School of Governance. He was a guest scientist at PIK during his masters and doctoral studies. Cezar is an Associate Professor at the University of Oxford. His areas of expertise are functional programming, type theory, artificial intelligence and data science. Following his doctorate at PIK on "Opportunities to increase global food production within the safe operating space for human freshwater use", Jonas is now a postdoc at NASA and University of Chicago. Sea Jin Kim spent a research visit to PIK from the University of Korea in 2018, supported by the Green Talents Programme. She works on climate impacts such as forest fire and wildfires. Postdoc at PIK until the end of 2017, working on forest related studies and co-speaker of Co-Speaker of the PIK Flagship iCROSS. In 2018 Chris has moved to Bundesinstitut für Risikobewertung BfR. Richard Klein is a Senior Research Fellow at the Stockholm Environment Institute and professor of climate policy, geography and development at Linköping University.. A former senior researcher at PIK, his expertise is in climate change adaptation, vulnerability assessment, risk analysis, climate policy and adaptation government. Michael did his doctorate at PIK from 2011-2015. He is now Project Manager and Technical Advisor to BMEL at GFA Consulting Group GmbH. Following his PhD PIK, Kai moved in 2018 to a postdoc position in Atmospheric, Oceanic and Planetary Physics at the University of Oxford. Marcus joined PIK in 1993 and after a period as postdoc moved to the European Forest Institute. He is Principal Scientist in EFI's Resilience Programme. A former masters and PhD student at PIK, Michael specialises in mitigation strategies in the transport sector and works for VDI/VDE Innovation & Technik. Scientific officer for the German IGBP office at PIK from 1996 to 2011, Sabine is now retired. Sabine is based at GEOMAR Helmholtz Center for Ocean Research in Kiel and has worked at PIK in recent years on climate change and ocean acidification. Mady is co-founder and managing director of the GreenAdapt Gesellschaft für Klimaanpassung which advises districts and municipalities in whole Germany on how to successfully adapt to climate change. Friederike completed her doctorate at PIK and Freie Universität Berlin and is now Deputy Director of the Environmental Change Institute of the University of Oxford. Her main research interest is extreme weather events, including their policy implications. Christian worked on extreme events, bias correction, and time series analysis in Research Domain 4 from 2014-2018 and is currently at Freie Universität Berlin. Claus joined PIK in 1997 and was principally involved in software development, web development and data management until his retirement in 2016. Diana is an Associate Professor at the University of Twente specializing on the interface between climate change and interdisciplinary urban research. She was formerly a doctoral candidate and postdoc at PIK. Kira completed her doctorate in physics at PIK in 2013. She is now an Emmy Noether Research Group Leader at the University of Heidelberg, leading a group on palaeoclimate dynamics and variability. Aljoscha completed his doctorate on "Non-linear precipitation analysis using complex networks" at PIK and currently has a postdoc position at the University of Potsdam. A specialist in paleoclimate and ice sheet modelling, Alexander is a postdoc at Complutense University of Madrid. Guest researcher at PIK in 2017/18, Hernann works on hydroclimatology at Universidad Nacional de Colombia. After her doctorate Eva joined Germanwatch and is Senior Advisor on Power Grids and Low-Carbon Policy. Her expertise is i.a. in energy-related greenhouse gas mitigation, integrated energy system modelling, power grids and energy transition policies. Christoph Schmitz is founder and CEO of Ackerdemia, a Potsdam company dedicated to education and solutions in sustainable food production. Christoph was a PhD student and postdoc at PIK until 2013. Gregor Schwerhoff was a postdoc at PIK from 2012 to 2015 and is now an Economist (JPO) for the World Bank Group in Washington D.C.. He is an expert in climate policy, carbon pricing, and energy policy in Africa, among others. Olivia is a research analyst at Climate Analytics, Berlin. As research analyst at PIK 2010-2014 she helped initiate the World Bank´s “Turn Down the Heat” series of reports. 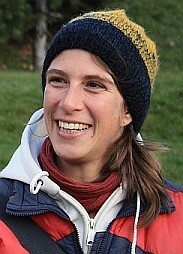 Following her doctorate on the Indian Summer Monsoon, Veronika worked at the University of Zurich and is now a postdoc at the Center for Economic Research, ETH Zurich. Professor Yang Tang from the East China University of Science and Technology was an Alexander von Humboldt scholar and guest researcher at PIK in 2018. He is an expert on multi-agent systems / complex networks, and artificial intelligence. Vera is Scientific coordinator of the Leibniz Research Alliance "Sustainable food production and healthy nutrition", Leibniz Institute for Agricultural Engineering and Bioeconomy. Liubov works on dynamics in irregular structures, graph theory, disorder media and various network theory applications. She currently is a postdoc at the Centre for Research and Interdisciplinarity CRI in Paris. Katrin is Head of the Research Department Museum and Society at the Museum für Naturkunde, Berlin. Her specialist areas are biodiversity, citizen science and the science-policy interface. A researcher at PIK in 2017, Peer works on landscape ecology and ecosystem services and disservices. Junior professor for Landscape Management at Potsdam University, Ariane Walz works on Land Management, Land Use, Ecosystem Services.